Hoyt Axton was born on 25 March, 1938. His mother, Mae Axton, wrote Elvis's own original "Heartbreak Hotel." "Never Been To Spain" was a big hit in 1971 for Three Dog Night. 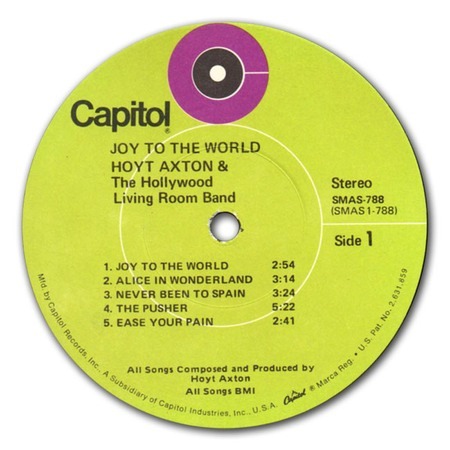 Axton's original version of his own composition, "Never Been To Spain," appeared on his 1971 album, "Joy To The World" (Capitol SMAS-788). Hoyt seems also to be a bit of an actor, having appeared in a number of films, including Spielberg's "The Gremlins." Hoyt Axton died on 26 October, 1999.